If you’re in the market for a luxury SUV, then chances are you want an upscale cabin that proves comfortable, convenient, and extravagant in every way. Explore the luxuriously appointed 2017 Mercedes-Benz GLE 350 interior, which boasts refined materials and design elements that exude opulence. It may be the introductory model in the Mercedes-Benz GLE lineup, but it can hardly be considered bare-boned. 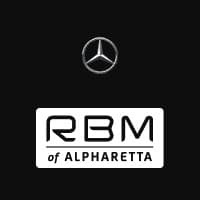 Learn more with RBM of Alpharetta before taking a tour at our dealership to experience the luxury for yourself. The 2017 Mercedes-Benz GLE 350 certainly has your ultimate comfort in mind. Take advantage of dual-zone automatic climate control so that you can set just the right temperature, as well as heated and power adjustable front seats with driver memory functionality. You’ll also be able to put the steering wheel right where you want it with integrated power tilt and telescoping. Plus, the cabin comes upholstered with MB-Tex® leatherette upholster or available leather upholstery. LED accent lighting and wood trim throughout provide a genuinely upscale feel. A sunroof is the finishing touch for this cabin, letting in cool Georgia evening breezes. Thanks to such comfort features, every ride will go smoothly inside the 2017 Mercedes-Benz GLE 350. Between standard and optional features, the 2017 Mercedes-Benz GLE 350 has convenience covered. You’ll have a rearview camera for ideal visibility during reverse maneuvers, as well as automatic wipers and a 4G LTE Wi-Fi data connection to keep you connected while on the go so that you never miss a beat. Additionally, Bluetooth® connectivity allows you to easily stream your favorite music and place phone calls without ever taking your hands from the wheel. SmartKey with KEYLESSS-START® means no more fumbling with your keys. Tack on the Premium 1 package and you’ll get a navigation system to get you where you’re going without confusion, as well as a 115-volt power outlet to keep all of your devices charged. The Premium 2 package promises heated and cooled cup holders to keep your drinks at the ideal temperature without a concern from you. Add the Premium 3 package, too, if you’d like an automated parking system so that you can get into difficult spots without having to maneuver the vehicle entirely on your own. With all of these features working in your favor, you can focus on what’s important—the road ahead. The 2017 Mercedes-Benz GLE 350 is available now in a variety of colors at RBM of Alpharetta. Our dealership is happy to answer any questions you may have ahead of your visit. Otherwise, you can find us located at 345 McFarland Parkway in Alpharetta, GA. We look forward to taking you for a tour of this luxury SUV’s interior!